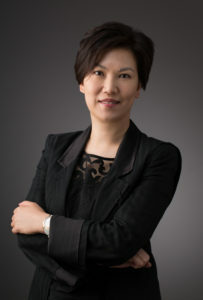 NEW YORK (June 15, 2018) — McCann Health, one of the world’s most creatively awarded healthcare communications networks and part of McCann Worldgroup, today announced the promotion of Connie Lo to President, McCann Health Greater China effective immediately. Ms. Lo, who will be based in Shanghai, will be responsible for driving growth and cross-platform integration across McCann Health offices in Beijing, Shanghai, Guangzhou and Hong Kong. Ms. Lo, who previously served as Managing Director for McCann Health in Pearl River Delta and Shanghai, has been a member of the McCann Health team for over 20 years. She left the Agency for a brief period to start and successfully run her own healthcare consultancy in Hong Kong. Her clients include such leading global healthcare marketers as Merck Sharp & Dohme, GlaxoSmithKline, Pfizer, Galderma, Amway, among others. When she was heading up McCann Health in Pearl River Delta, the Hong Kong and Shanghai offices brought home the first Gold Lion for Greater China and the Hong Kong office was named 2nd runner up Global Health Agency of the year at Cannes Lions Health. It was also awarded the Gold Specialist Agency of the Year by Marketing Magazine Asia.